The MagLoft team would like to welcome readers from Jumpstart Magazine! In collaboration with Jumpstart we are happy to offer you a special 50% discount on our Professional Digital Publishing Solution. Please read this page for more information about MagLoft and reach out to us via our online chat if you have any questions. If for whatever reason your are not completely blown away by the MagLoft Digital Magazine Publishing System then you will of course get a complete refund of your investment within your first 30 days. You will get your very own, fully branded iOS app created for you. You will be able to design the look and feel of your iOS app so that it matches your own brand. This is a completely native app that is built using Objective-C and Xcode. We continue to add new native features to our iOS app which you will benefit from when they are released. You will also get your very own, fully branded Android app created for you. You will be able to design the look and feel of your Android App so that it matches your own brand. This is a real native app built in Java and Android Studio. As with our iOS app we continually add new native features to our Android App which you can benefit from when they are released. You will get your own branded Amazon app created for you and published on the Amazon App Store. This app will behave similarly to your Android app and will give you an additional platform to promote your content on. The branding of the app will also follow the same branding from your iOS and Android apps, which you can control and update instantly from your MagLoft publishing dashboard. You are able to completely brand your web app (online magazine app) with your own URL. You can set up a completely new dedicated domain name or use a subdomain on your existing domain name. You are also able to remove the MagLoft branding so there will be no mention or sign of MagLoft anywhere. Sell your single issues directly from your web app! You can currently integrate MagLoft with your Stripe account which will allow you to sell your single issues directly from your web app. 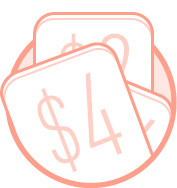 All you have to do is apply a price to each issue that you want to sell and MagLoft + Stripe will take care of the rest. You will be required to setup your own Stripe account as currently only Stripe is available. More options like PayPal coming soon. MagLoft does not charge you anything for this feature. The only charge you will see is the transaction fee from Stripe. This is a complete reader registration and login module which will allow you to collect email addresses from your readers. This is particularly powerful in combination with the "opt-in" unlocking mechanism of specific issues. You can require your readers to create an account and login, before a particular issue is unlocked and made available for viewing. background download notifications which will automatically start downloading a selected issue to your readers devices. This will allow you to make new issues available to read on their devices without readers having to wait for the download. regular text push notifications to alert readers of new issues and other important things like discounts and events. Use your own Developer Accounts! This is the ultimate branding as you will be listed in app stores as the developer of your apps. 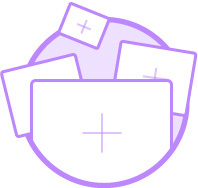 You will also be able to manage every aspect of your apps content pricing and subscriptions. 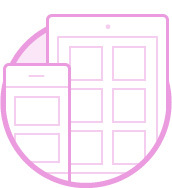 Using your own developer accounts is required for the Professional plan if you intend to sell in-app products such as individual issues and subscriptions. Sell your content in the form of single issues and/or subscriptions directly from your own branded apps. MagLoft will help you setup your initial products in all app stores and then teach you how to set these up going forward. This will enable you to take advantage of the massive app store ecosystem and millions of devices with credit cards ready to purchase with a single tap. With Custom Subscriptions you can manually add subscriptions for specific readers. You might be selling subscriptions from your own website and with Custom Subscriptions you can add these purchases to your apps so they can login and unlock content that they have purchased from your website. You can also use Custom Subscriptions to award contributors and sponsors with free subscriptions. You determine the start and end date for each Custom Subscription. 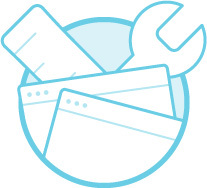 The CSV Import Tool allows you to upload a csv file of all your existing subscribers. With this you can determine who should get access to content in your apps. You can upload a list of new subscribers and you can also update existing subscribers by uploading them again. We build native and web apps for bloggers, magazine publishers and enterprises that get published in all the major app stores! Digital Magazine Publishing has never been this easy and powerful! Our Professional plan is free of any MagLoft branding. Build your own brand and not someone elses! Use your own developer accounts for Apple, Google & Amazon. Stay in 100% control of your apps and revenue! Register for free and start customizing your digital magazine and add content. Upgrade when you are ready! The fastest and esiest way to get started. Add interactive elements like audio and video to PDF files. Connect your blogs and import existing content to turn it into native iOS and Android mobile publishing apps. 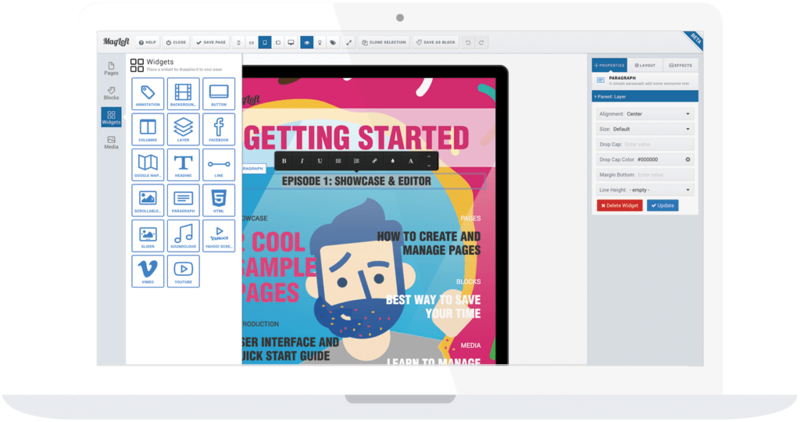 Use our unique drag and drop editor to create responsive and interactive content for your digital magazine apps! who should use magloft to create digital MAGAZINE publishing apps? It doesn’t matter if you are a hobbyist blogger, professional publisher, an agency or enterprise. We have a digital magazine solution for you! Turn your hobby or passion into a digital publishing app. Use our TypeLoft editor to create your magazine and mobile apps. Convert your existing blog into native iOS and Android apps! Get listed in App Stores! Offer your readers a truly native magazine experience. 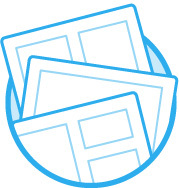 Take your print publishing and turn it into digital magazine apps! Simply upload your PDF, add interactive elements and publish. You can promote the MagLoft Digital Publishing Solution and earn a commission on each sale you generate. Offer the MagLoft Digital Publishing Solution as your own to your clients! Complete white co-branded solution available. Secure and dedicated enterprise apps to deliver content to your organization. Custom solutions that suit your publishing needs. We’ve named our responsive content editor TypeLoft! It’s awesome! With TypeLoft you can drag and drop interactive building blocks to create amazing digital magazines! 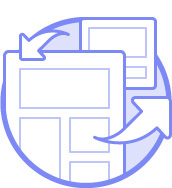 Create your page layout once and watch it magically adapt, collapse and resize itself to fit any screen size and orientation perfectly. No more “pinch to zoom” nonesense from PDFs! Drag and drop interactive widgets like YouTube, SoundCloud, Scrollable Images, Tap to Reveal, Slide Shows, Parallax and HTML5 widgets which allow you to add custom code. You can save a collection of widgets into building blocks. These blocks can be re-used on any page or in other issues. Speed up your content creation using building blocks! You get your own digital publishing portal from where you can manage all your magazines, issues, content, push notifications, subscribers and a lot more! Manage everything from the comfort of your own browser. Our app designer lets you customize your apps look and feel. No design experience required! See exactly how your apps will look on mobile, tablet, and laptop screens before you publish them. Work out of the MagLoft digital publishing portal as your sole content management system. Directly import content from your blog into your new issues so you never have to worry about running out of content. Customize each reader’s experience with targeted push notifications that share special offers, reminders, and new downloads. Powerful subscription management allows you to segment your audience and offer price based value. We have gathered our team in Bali for a two week hackathon where we will be concentrating on building new features and enhancements for MagLoft digital publishers. It’s an intense period of hacking and getting as much done in a short period of time. We still manage to find time to have fun as you will also see! Hackathon Day 1 – Meeting the Team and Planning the Hackathon! Febby and Adhya who normally work remotely from Java have arrived in Bali and we all get together to plan the two weeks ahead! Hackathon Day 2 – Hacking on new app ui, customer messaging and feeding the dogs! Everybody is busy working on new cool things for our customers. Today we get a chance to say hi to Andina, Febby and Tobias. Hackathon Day 3 – Improving typeloft editor and checking out potential new office space! We had a really productive day today! Got an early morning workout in before heading to the Livit Spaces office. The team was busy working on the TypeLoft Editor upgrade and Nick went to Sanur to check out the potential new office for our co-working and co-living space.